While June marks the last days of school for some districts in northern Indiana, summer has officially begun in the southern part of the state! Perry Central kicked off the Summer of eLearning today with music and energy, setting the perfect tone for this celebration of learning. Their conference, PowerED Up, featured some of Indiana's favorite eLearning gurus. 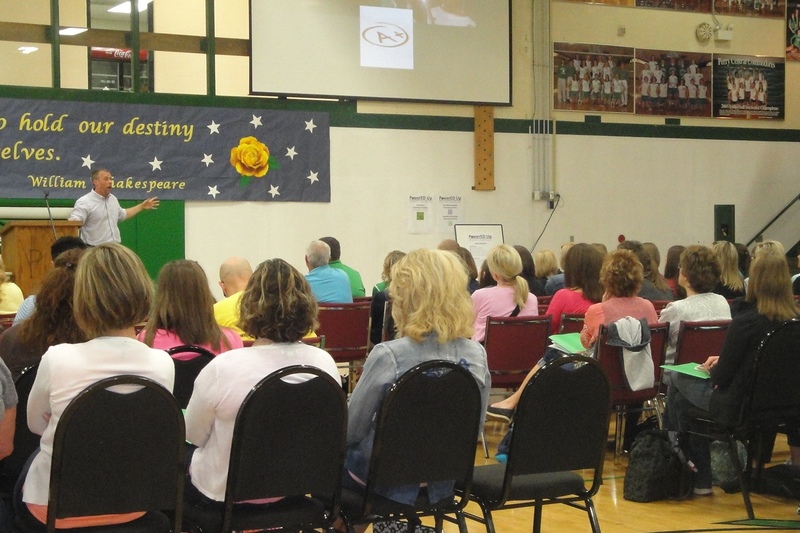 Don Wettrick, Innovation Coordinator at Noblesville High School and author of Pure Genius, gave the opening keynote on Tuesday. Wettrick, is also a member of the eLearning Speakers Bureau, along with other PowerED Up presenters Matt Miller, Bill Gumula, and Michelle Green. 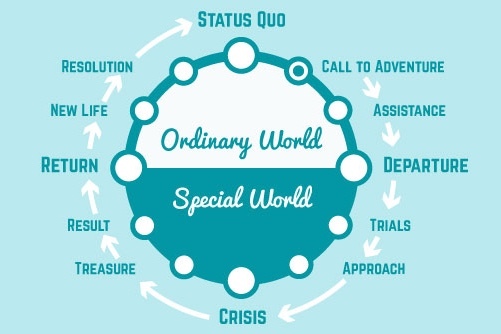 Wettrick's presentation took the audience through the phases of the hero's journey, and discussed how they parallel the path his students took in his classroom. During the year he shepherded them through a process of courageous attempts and glorious failures, helping them move beyond the status quo and attempt things they never thought possible. He also challenged teachers to take the journey, leaving behind expectations that students sit quietly in tidy rows. 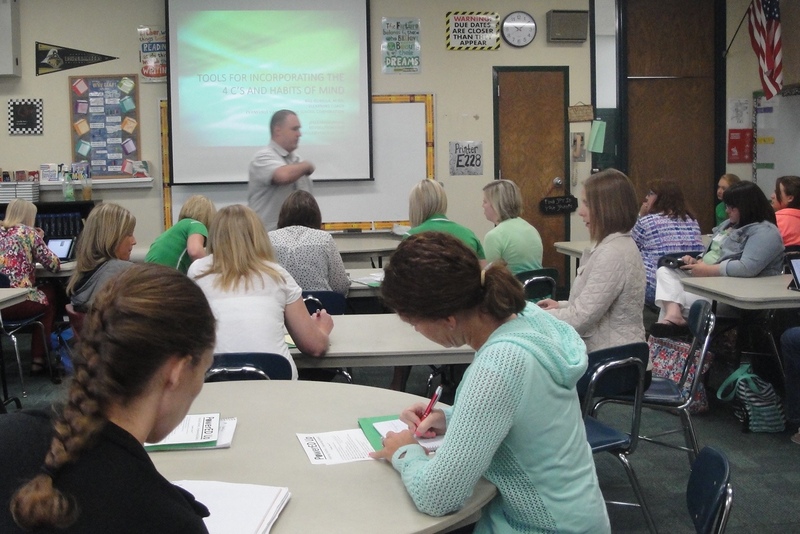 He urged them to put great and relevant tasks in front of their students. Wettrick's own students then took the stage to share how the "genius hour" Wettrick incorporated into his class had substantially changed their lives. eLearning coach, Bill Gumula shared tools he had curated to support "C's" like critical thinking and communication, as well as "habits of mind" like persistence and clarity. 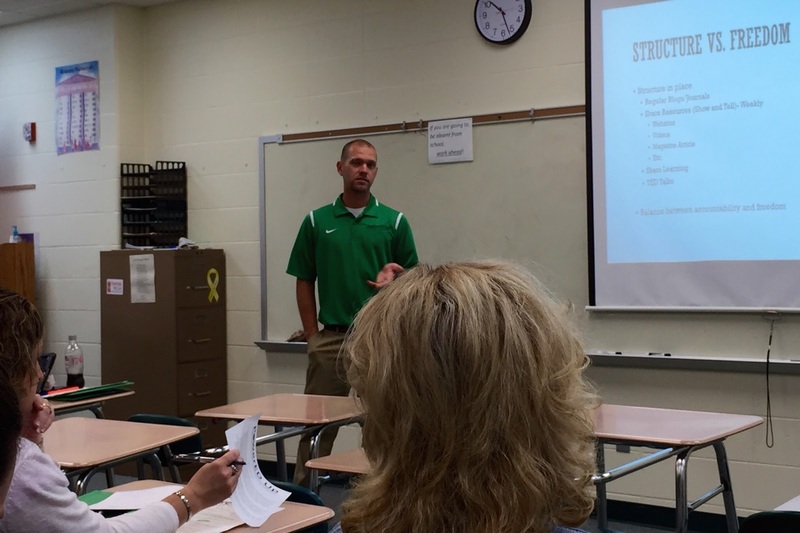 To engage students in tasks that grow these skills, Gumula encouraged participants to employ tools like Weebly and Twitter to produce published work, as well as emaze and thinglink to allow students to show what they know in different ways. For great tools to help students express themselves creatively, he also recommends Canva and Storyboard That. Learn more about something you are passionate about. Be Brave. Have the courage to take risks and pursue something your passionately curious about to make a difference. There is also a Google+ Community where you can collaborate with others using the Genius Hour and Passion Based Learning. 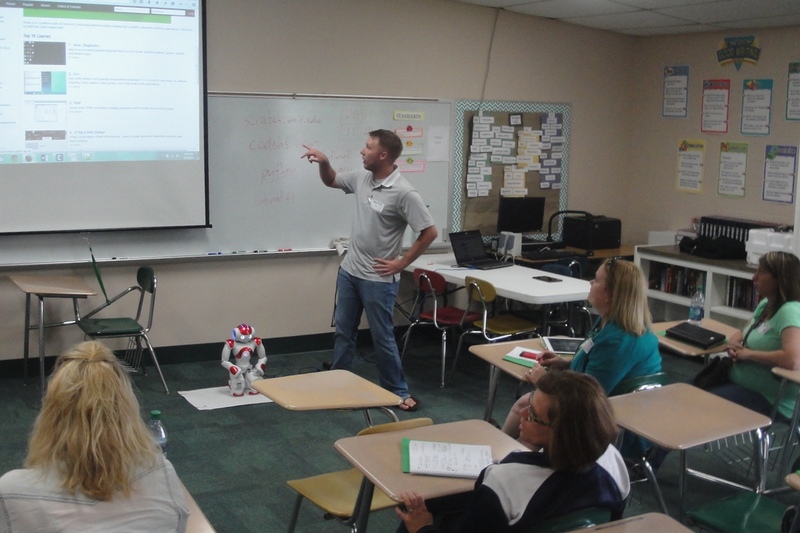 If you are looking to get your students into coding, you are going to want to connect with Sean Risse from Perry Central. In his session, Risse shared a number of resources he uses with his computer science students. A good starting point is Scratch, from MIT. When they are ready, Risse says the best resource to learn coding is Codecademy. For mobile devices, his classes use another free MIT product (App Inventor) to learn basic programming and build apps for their Hisense Tablets. Another resource he shared for helping students with difficult programming concepts is The New Boston, which has videos organized by the various programming languages. Stay tuned to the eLearning Pulse and #INeLearn as the summer heats up. We'll be sharing our learning as we travel the state. Hope to see you along the way!